Time for some much needed real talk, Robsoul style: Dijon’s DJ W!LD returns to Phil Weeks’ house HQ with three straight-up mess-makers. 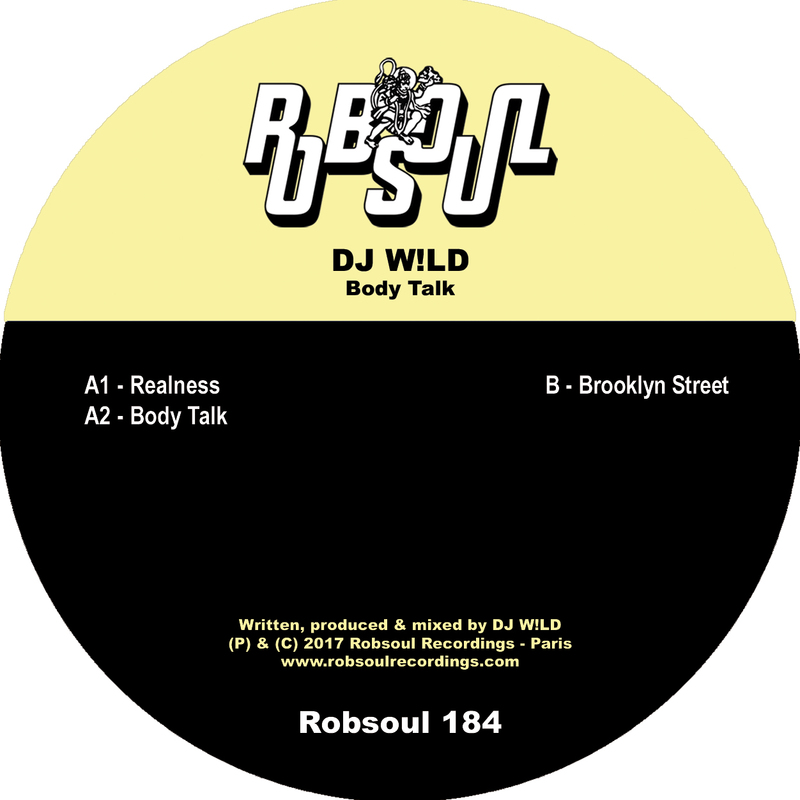 ‘Realness’ celebrates life’s necessities with bumping drums, smoky textures, jazzy twangs, breakbeat switches and a dope rap when you least expect it. ‘Body Talk’ strips the groove right back, sets the clock to zero: tick, tock – ain’t no one gonna stop. Finally we hit the road for ‘Brooklyn Street’ where a warm jacking groove snakes left and right and a humanised percussive shots duck and dive in the clouds above… It brings a whole new meaning to musique concrete. Once again the Dijon DJ doesn’t disappoint: W!LD thing, we think we love you.